Can I use my modeling lamp(s) when powering my flash unit(s) with the Vagabond™ Lithium Extreme or Vagabond Mini™ Lithium system? The Vagabond™ systems are NOT designed to operate standard modeling lamps continuously. With essentially all battery/inverter type supplies, a flash unit’s modeling lamps are not generally used because their power draw would quickly deplete the battery, slow recycle times dramatically, and could overheat the inverter. To maximize battery life, the modeling lamp in each connected flash unit should be turned OFF, only turned on for brief previews to compose the lighting. However, with the DigiBee flash units and their permanent LED modeling lamps, the Vagabond systems may be used to power a unit with the modeling lamp. See the chart below for expected battery life (per charge) when using a Vagabond system to power a DigiBee unit, using the modeling lamp. Note: These specs are for DigiBee flash units only, and ONLY when the modeling lamp is used (flash function turned OFF). With the Vagabond Mini™ Lithium system, the battery cannot be used to power a modeling lamp over 120 Watts, even briefly. For Einstein™ users, we offer 25W modeling lamp for reduced-intensity modeling lamp usage (part # 25W), though this lamp should still only be used for brief composition. For AlienBees™ or White Lightning™ users, the supplied modeling lamps can be replaced with lower 25 Watt or 40 Watt household bulbs to allow brief usage of modeling lamps for composition. These standard Edison-type bulbs can be purchased locally. If you choose to use a lower-wattage modeling lamp briefly, the units should be set to extinguish the modeling lamps during recycle to minimize recycle time. How long should the battery last in my Vagabond™ system before it needs to be replaced? The lifespan of the battery in your Vagabond™ Lithium Extreme or Vagabond Mini™ Lithium system will vary based on a number of factors including frequency of use; power load while in use; charge level, environmental conditions, and ambient temperature (both when the unit is in use and in storage); and overall battery age. The VLXBAT battery in the Vagabond™ Lithium Extreme system, when properly used and properly taken care of should deliver approximately 1000 to 1500 charge / discharge cycles. The useful life of the VLXBAT can be 10+ years. When the battery capacity drops to 50% or lower (when the number of full power flashes, per wattsecond rating, per battery charge is halved), it is recommended that you replace the battery. The VMB8.8 battery in the Vagabond Mini™ Lithium system, when properly used and properly taken care of should deliver approximately 200 to 300 charge / discharge cycles. The useful life of the VMB8.8 can be 2 to 4 years. When the battery capacity drops to 50% or lower (when the number of full power flashes, per wattsecond rating, per battery charge is halved), it is recommended that you replace the battery. For safety and best performance, the battery in your Vagabond Mini™ Lithium system should be replaced after 4 years, regardless of capacity. Does my flash unit consume power when it isn’t flashing or recycling – just when it’s idle between shots? Will this affect the amount of flashes that I can get per battery charge? Yes. 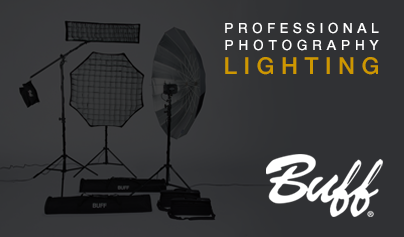 All Paul C. Buff™ flash units, with exception of the Einstein™ unit, consume about 3 Watts when turned ON and idling between shots. The Einstein™ unit uses more power because it contains a sophisticated switching power supply which is always providing power to the controls and LCD (and CyberSync™ transceiver, if connected) whenever it is connected to an active power source. When the Einstein™ unit is inactive (having been turned OFF by means of the POWER button or by using the Cyber Commander™ remote control system), it still consumes approximately 3 Watts from its power source. When the unit is turned ON, with the LCD graphic user display lit and operating, the Einstein™ unit draws more “idling” power from its power source than other Paul C. Buff™ flash units. At 120 Volts AC input, it consumes approximately 7 Watts when idling between shots. At 230 Volts AC input, the power consumption rises to approximately 12.5 Watts. This presumes the modeling lamp is turned OFF as the constant draw of the modeling lamp in any unit will rapidly deplete the battery. So, if one uses the Vagabond™ Lithium Extreme system or the Vagabond Mini™ Lithium system to power any flash unit for an extended period of time, the equipment is consuming power from the battery, even if the unit is not being flashed or recycled. Keep in mind that there is an energy budget: the Vagabond™ charger puts energy into the battery, and the inverter and its load (whatever that might be, AlienBees™, White Lightning™, or Einstein™ units) is constantly drawing against the amount deposited. The draw is slow when the lights are idling and rapid when the lights are being recycled. The energy budget is depleted even more quickly when using multiple lights. During extended shooting sessions, one will likely not get as many shots from the Vagabond Mini™ Lithium battery when using the Einstein™ unit as one might get when using an AlienBees B1600 or two B800 units, even though the stored energy in the lights is the same for all three scenarios (640 Wattseconds). If flash units are left ON while connected to a Vagabond™ system, even if the units are not fired and the modeling lamps remain turned off, the units still draw power and have the capability to discharge a battery completely over time, depending on the amount of time, the ambient temperature of the environment, the age of the battery, etc. As the EInstein™ units draw more power that the AlienBees™ and White Lightning™ units, an idling Einstein™ unit left ON while connected to a Vagabond™ system will deplete the battery more quickly. Ultimately, it is easy to understand that the Vagabond™ battery’s energy budget is not infinite, and the actual number of shots one may be able to make on a single battery charge depends not only on the flash unit(s) power setting, but also on the continuous power consumption of the light(s) being powered. To extend the useful operating time for a single battery charge and level the field between Einstein™ units and other Paul C. Buff™ units, one can simply turn the Vagabond™ system OFF between groups of shots, or turn the Einstein™ unit(s) OFF between groups of shots. Can I take my Vagabond™ system when I travel by air? Yes, the batteries in both the Vagabond Mini™ Lithium and Vagabond™ Lithium Extreme systems are certified for global air travel. Lithium batteries are regulated for air travel by both the U.S. Department of Transportation (DOT) and the International Air Transport Association (IATA) and based on the specifications of the battery, the current DOT and IATA regulations indicate that domestic customers should able to travel by air with a Vagabond™ system as carry on baggage. You must check with your individual airline carrier before traveling with any Vagabond™ component each time that you wish to travel by air in order to find out the updated, applicable regulations for your specific flight based on the specific items that you wish to travel with. To determine eligibility for travel, you may be asked for certain specifications of the battery which are both printed on the battery and provided in the manual (sent with the product and available for download here). Can I use the Vagabond™ system to provide portable power for flash units made by other manufacturers? The Vagabond™ Lithium Extreme system and Vagabond Mini™ Lithium system are designed to provide portable power for Paul C. Buff™ flash units; however, it can be used to power other brands of flash units as well. While we are not able to test our Vagabond™ systems with all of the various brands and models of flash units available, we have tested the systems with a number of units and received excellent feedback from customers who are successfully using the system to power multiple brands of flash units. Based on our tests and this customer feedback, we have determined that the Vagabond™ systems should work with nearly all standard photographic flash units (both analog and digital). With multi-voltage flash units, the Vagabond Mini™ Lithium system may only work to an extent and the system should only be used to power one flash unit of this type at a time. To find out about your particular flash unit, contact our Customer Service Team and we’ll be happy to provide you with any information that we have available for that specific unit. While we feel confident that our Vagabond™ systems can be used to power various brands of flash units, we cannot make any claim for suitability with any individual products made by other manufacturers, nor can we accept any liability for any damage that might be caused to such equipment. We do, however, warranty the Vagabond™ systems themselves as well as any Paul C. Buff™ equipment powered. Can the Vagabond™ be used to power other equipment? If a continuous load is used in conjunction with flash unit use, this number should be reduced. It should be noted that when the Vagabond™ system is used to recycle flash units, the output voltage will not remain at 120 VAC; it will drop lower during the recycle period of the lights. Therefore, equipment that requires continuous 120 VAC should not be used in conjunction with flash units. To the best of our knowledge, the momentary low voltage will not affect laptops connected via their battery chargers. However, AC-powered computers will likely crash under the "brown out" conditions and likely draw more than 120 watts. If you plan to power auxiliary equipment, you should consult the product’s manual and / or check with the product manufacturer to determine the power consumption. It is not generally advisable to operate flash units and continuous power loads at the same time. Please note that with the Vagabond™ II system specifically, as in any lead acid battery system, the amount of power available from the battery depends upon operating temperature. Operating temperatures substantially higher than, or lower than room temperature will result in less power being delivered from the battery.